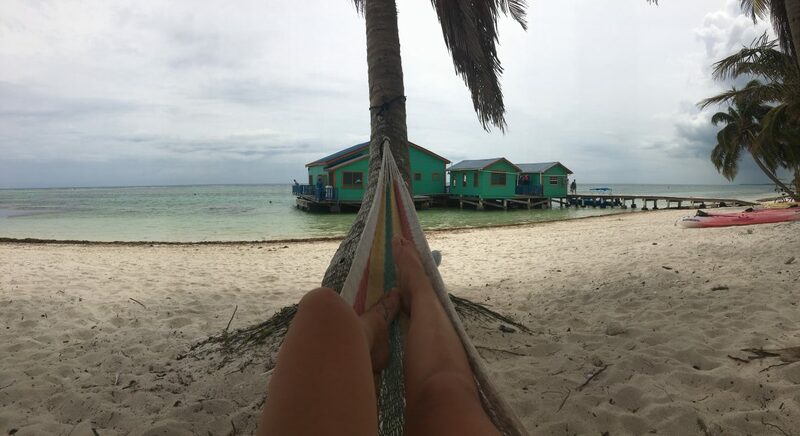 Ambergris Caye is one of the islands located just off the shore of mainland Belize. You can get here by a quick 15 minute hopper plane or an hour and a half boat ride (the boat is significantly cheaper). Even though this island is small, it provides more than enough entertainment. Whether you will be visiting for the week or only a weekend, check out my ultimate guide to avoid missing out on any fun in the sun. 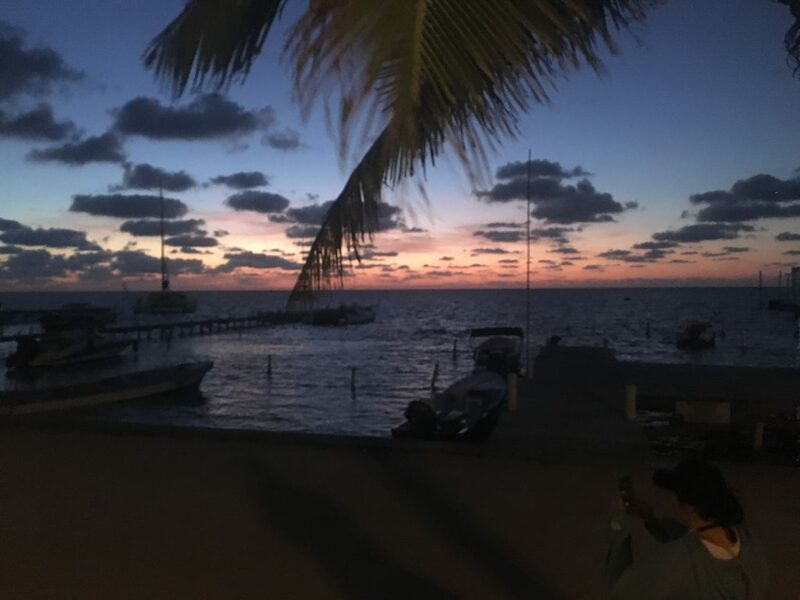 While some of the things are not actually on the island of Ambergris Caye, they are still must do adventures while visiting Belize! Simply walking around the town of San Pedro is an adventure in its own. Most of the best places to eat border on the beach. If you happen to be walking the beach on Thursday night, you will want to stop by Wahoo’s Lounge to participate in the chicken drop. The chicken drop is almost exactly how it sounds. It is a hilarious local event which takes place every Thursday night. If you’re feeling lucky, place a bet and hop the chicken drops on your number. Tranquility Bay is a resort at the northernmost end of the island. You don’t need to be a guest of this resort to enjoy it’s tranquil atmosphere (see what I did there?). The resort has a restaurant and bar on site and will let you rent any of the kayaks for an hourly rate. Only a mile or two farther from Tranquility bay is also where the reef touches the shore. If you have your own snorkel gear, this is an amazing place to create your own mini snorkeling adventure. There’s actually nothing secret about this beach, it’s just a really fun and chill place to hangout for the day. You’ll need to rent golf carts again to get up to the beach since its on the lagoon side of the island. At the beach you can rent some paddle boards and open up a tab at one of the two bars on the water. We spent the entire day rotating between who bought the next round and who got the next turn on the paddle board. This bar is exactly how it sounds. It is perfectly positioned as a stop along the main (well, only) road up to the north of the island. Truck Stop has almost every different type of food that you could imagine. In the evening, they have live entertainment and every Wednesday night is movie night. If you follow the boardwalk to the back of the lot, they even have some fun hammocks to hang out in for a while. One of the things Palapas Bar and Grill is famous for are the inner tubes tethered to their docks. They offer a great atmosphere to grab a drink and spend some time lounging in the sun. Palapas also makes amazing piña coladas. So good we made a second trip back solely to get another taste. Caye Caulker is the island just next to Ambergris Caye, off mainland Belize. 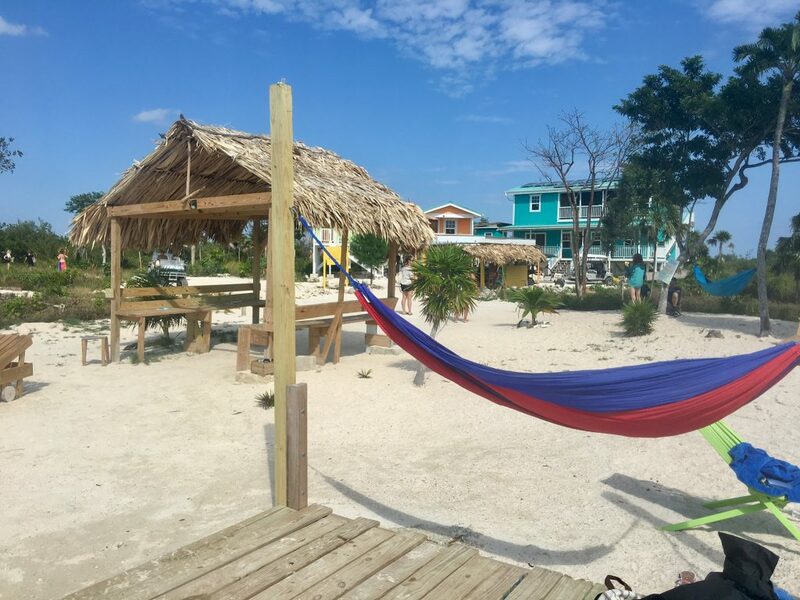 Caye Caulker is smaller than Ambergris Caye and offers a more relaxed beachy vibe. So beachy, there aren’t any paved roads and the entire island is totally covered in sand. 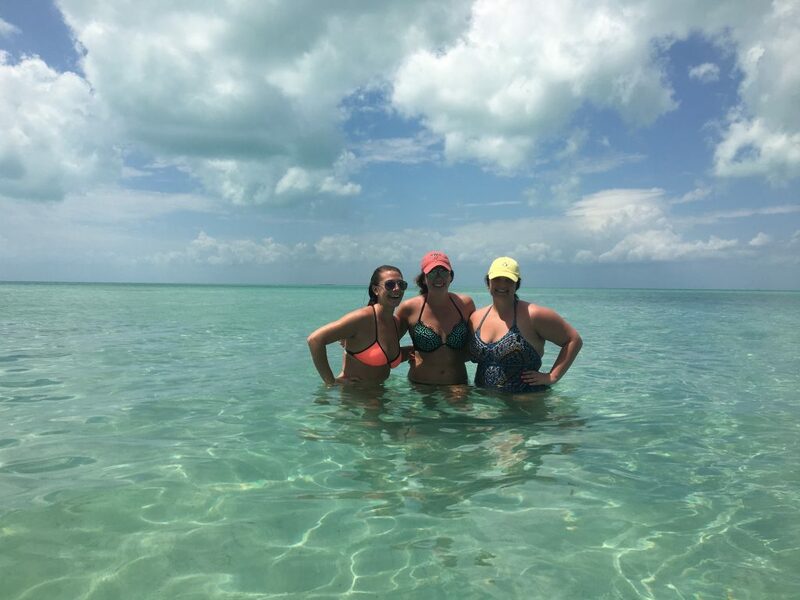 It is also an easy 15 minute boat ride from Ambergris Caye, making it the perfect detour for the day. Belize is home to the second largest great barrier reef in the world, which makes it an amazing place to go snorkeling. As someone who has never been snorkeling before, this experience was one of my favorite of the trip. We spent the day out on the boat making various stops at different points along the reef. One of the spots was Shark Ray Alley, where you get to swim with harmless nurse sharks. 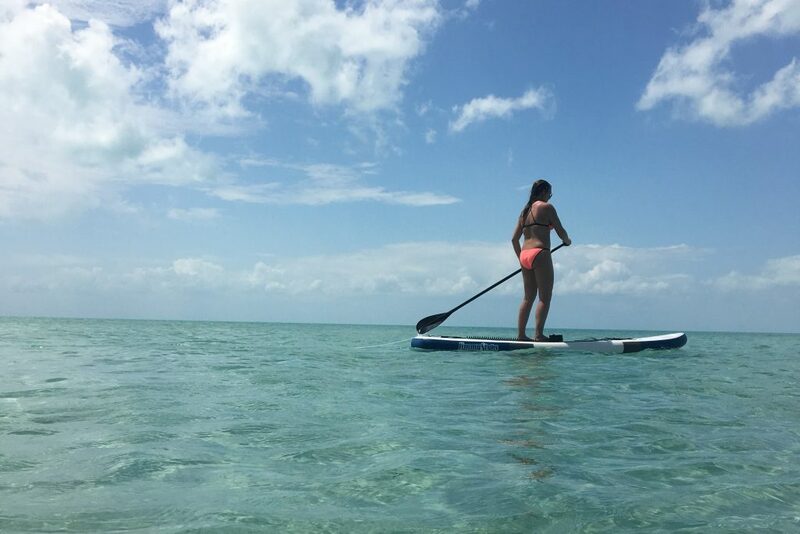 While the island has more than enough adventures to occupy your time, there are a couple mainland adventures Belize has to offer in which you won’t want to miss! We took a day long excursion which encompassed cave tubing, visiting the mayan ruins and ziplining. The cave systems in Belize are one the largest and well known systems in Central America. 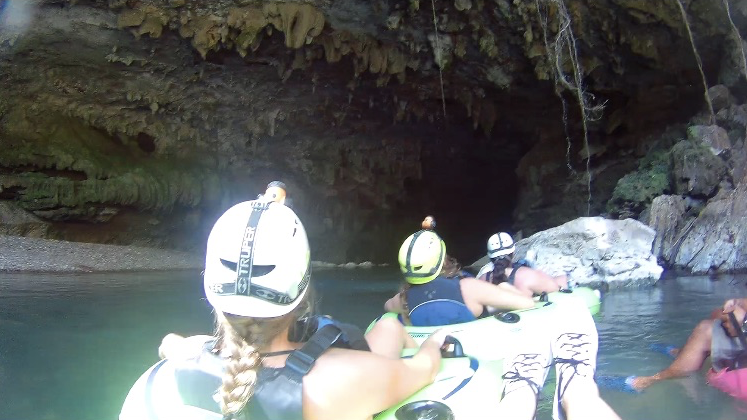 If gliding down a large lazy river which happens to go under a couple really cool caves sounds like your thing, I recommend adding cave tubing to your mainland adventures. However, be warned, it does get very dark in certain spots. You are given headlamps to see the inside of the caves but if you consider yourself claustrophobic, I may sit this one out. Once out of the caves, you get to spend the next half hour or so floating down a river in the middle of the jungle. It’s basically any Disney world lazy river on steroids, but sadly without the drink stops along the way. 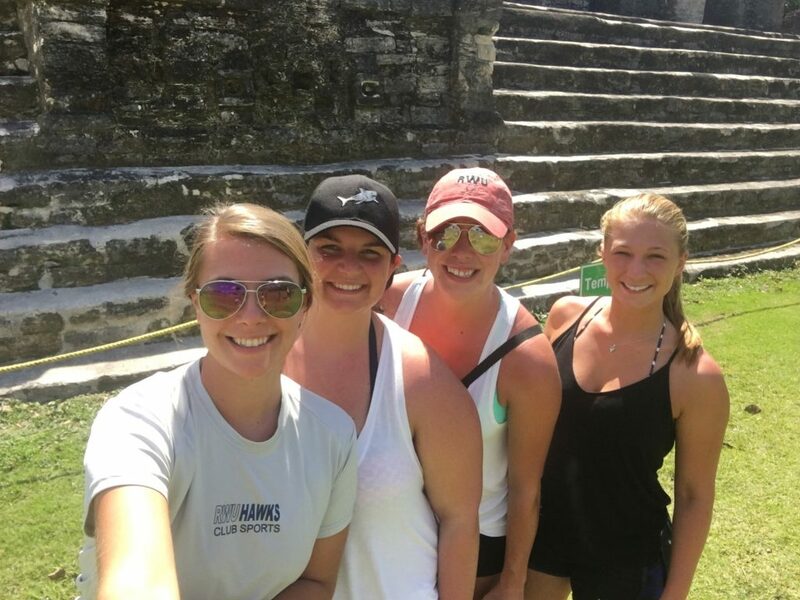 If you get bored of the island, or have a history buff in the group, visiting any of the many Mayan ruins which are scattered amongst mainland Belize is a great way to spend a day off the island (and out of the sun if you get as crispy as we did). We visited the ruins of Altun Ha, although one of the more well known and larger ruins is Lamanai. 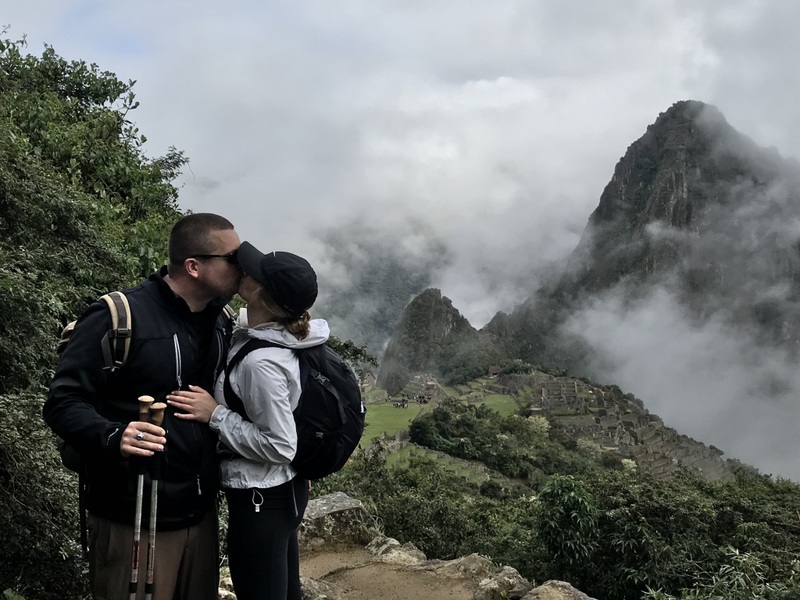 Depending on how much of the ruins you want to see, you can find a tour company that visits multiple in one excursion or pair it with another adventure. 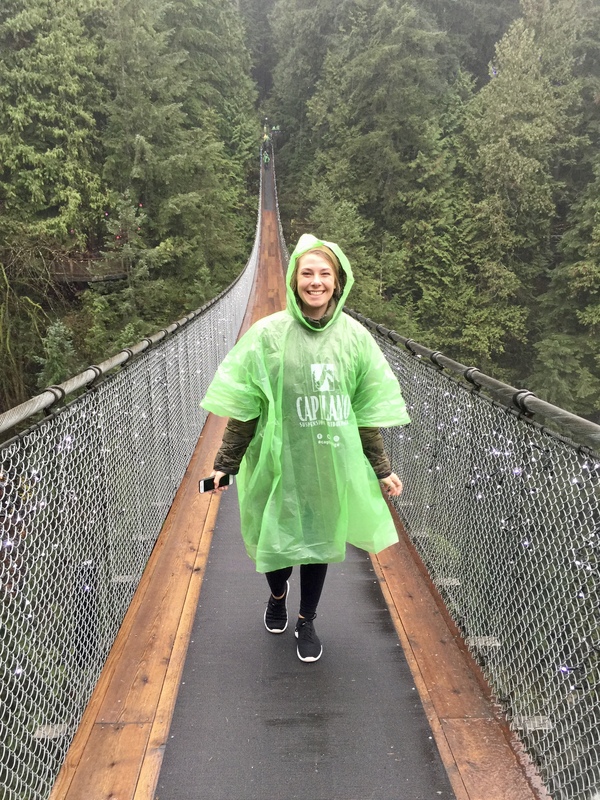 Another mainland adventure is Ziplining. If you like heights and a little thrill, this will add just that to your vacation. 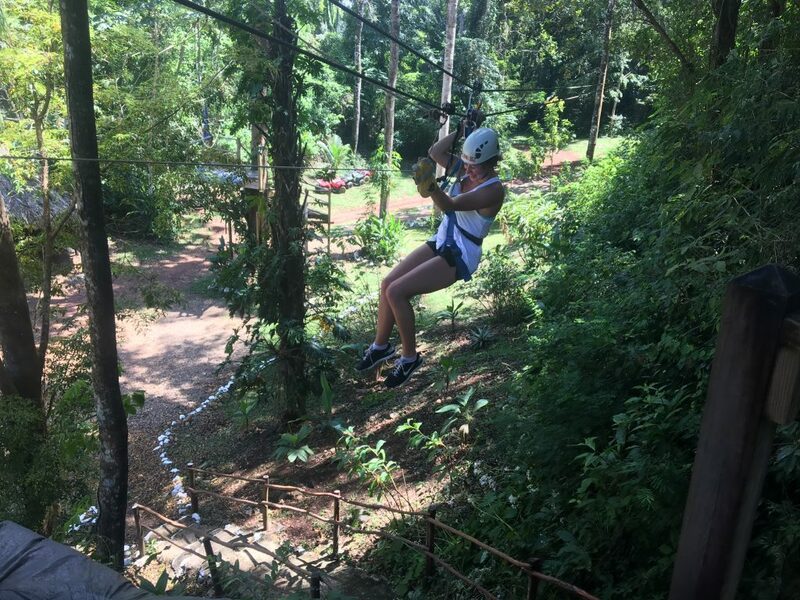 Coming from someone who has a fear of heights, I still enjoyed ziplining through the jungles of Belize. The views are absolutely amazing and swinging through the jungle is a great way to beat the Central American heat.